What are the most common reasons for startups to fail? More often than not, it is either because of poor quality implementation or because the team’s assumptions on costs and revenues and other factors were inaccurate, which meant that they either run of out money a lot quicker, or the business case becomes weaker and as a result they run out of energy, enthusiasm… and eventually capital to sustain the operations. I therefore always recommend to teams to overestimate on costs and underestimate on revenues in their excel sheets. When working on your excel sheets, try to work out the worst case scenarios (as those may turn out to be true as well) and build your foundation to deal with the worst case scenarios too. 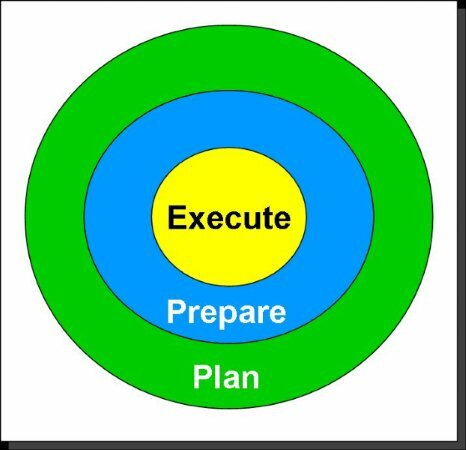 Think of what your response and plan is going to be in different scenarios – the very optimistic, optimal as well as the very worst case. Either of these scenarios could play out, and if you are not adequately prepared for any one of them, the end result will be a disaster. (Even if you have planned for sub-optimal scenario, and the in-market response is phenomenal, unless you are able to quickly adjust your plans and create resources, infrastructure, processes and people to deal with the growth, the business will flounder). Entrepreneurs tend to be unrealistically optimistic on their own and their team’s implementation capabilities and often tend to understaff and underestimate the time and costs required to make the business work. (At least that’s my observation from the Indian startup eco-system). And that’s why I recommend to startups to talk to a lot of people. Advisors, mentors, investors, customers, other entrepreneurs… anyone with a more experienced perspective on that subject. Get a realistic view of how things work and what challenges you are likely to face as you start implementing your concept in the market. Next Next post: What’s the appropriate way to terminate an advisor relationship that isn’t adding value?